The location was as expected. The bed was comfortable. Beautiful, clean and cozy apartment. 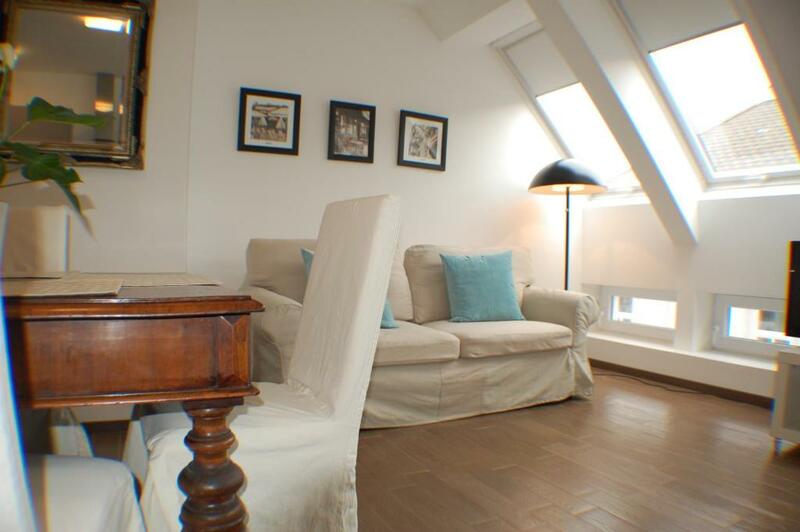 Very nice location - close to metro station, and it's about 30 min to walk to the city center. Also it's very close to the Schönbrunn. There are many grocery shops and small cafes around. The apartment was immaculately clean, all the appliances were new. The location was excellent. The location is amazing. 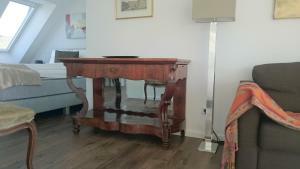 We found the parking easily and really enjoyed the stay in this comfortable, light and modern apartment. Would recommend it to everybody! We spend only one night in the apartment. It was clean, with equipped kitchen coffee in capsules (first four go for free), and the building itself and neighbors were quiet. The location is excellent, many restaurants around, good connection with a public transport. Everything is well equipped (except the bathroom), the location is excellent, and the apartment is very clean and modern looking. Communication with the staff is great as well. Exellent place for families or pairs.Very clean and cozy appartment.Westbahnhof-5 minutes of lazy walking.Everything you need to cook by yourself-oven,coffee-machine,grille and so on.Very happy to spend 2 nights here.Highly recommended. Excellent location near train station. Easy to get to city center and very good price. 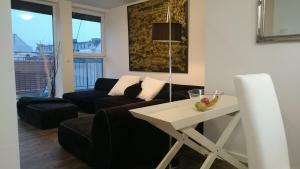 Lock in a great price for Alga Apartments am Westbahnhof – rated 8.8 by recent guests! One of our best sellers in Vienna! 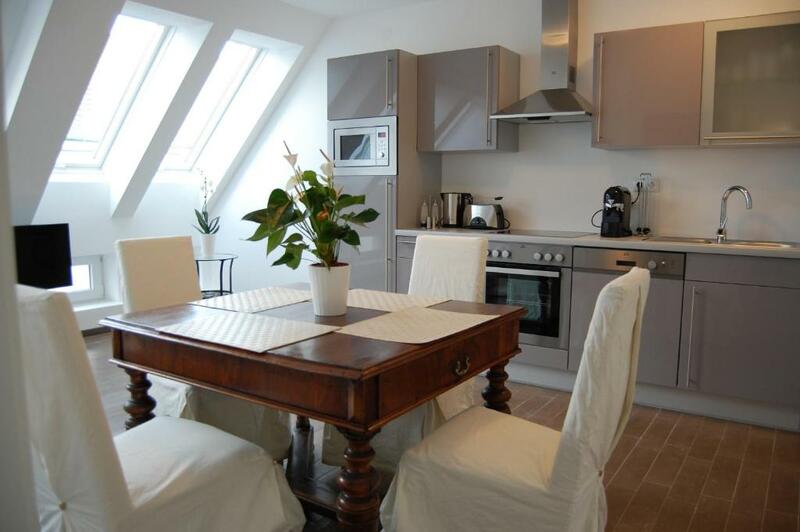 Offering city views, Alga Apartments am Westbahnhof is a self-catering accommodations located in Vienna, directly at Mariahilfer Straße. Free WiFi access is available on site. 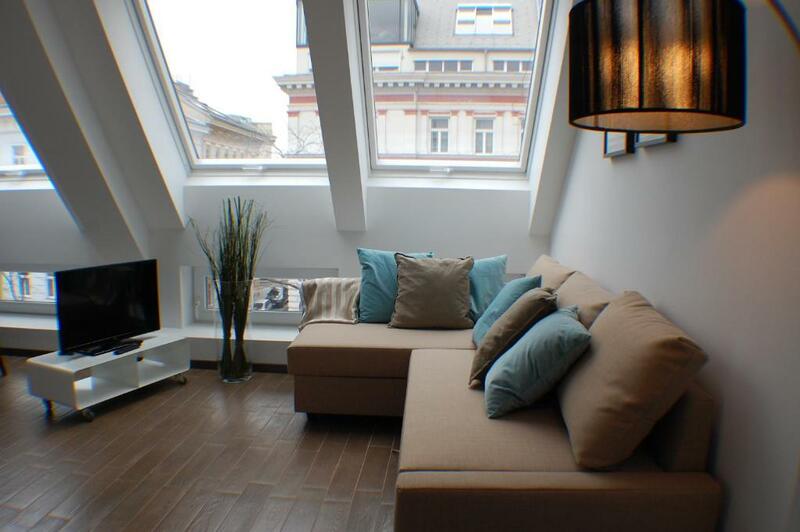 The property is 1,500 feet away from Raimund Theater and 1,800 feet away from Wien Westbahnhof Railway Station. All units feature a flat-screen TV with satellite channels, a fully equipped kitchenette with a dishwasher and an oven, ironing facilities, a sofa and a desk. Bathrooms are fitted with a shower, a hairdryer and free toiletries. The units are also accessible by a elevator. 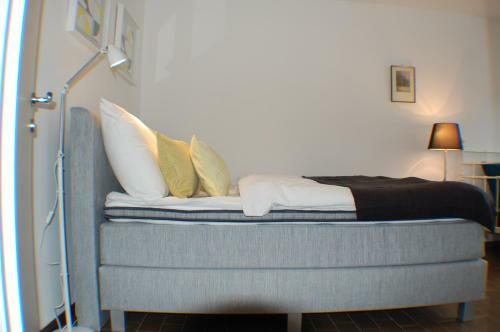 Alga Apartments am Westbahnhof is located a 5-minute walk away from Westbahnhof Metro Stop. Vienna International Airport is reachable within 15 mi. When would you like to stay at Alga Apartments am Westbahnhof? This apartment features a fully equipped kitchenette with a dishwasher and an oven, a flat-screen TV with satellite channels and a bathroom with a shower and a hairdryer. This apartment has a fully equipped kitchenette with a dishwasher and an oven, a flat-screen TV with satellite channels and a bathroom with a shower and a hairdryer. This apartment has a tile/marble floor, satellite TV and kitchenware. This apartment features a toaster, stovetop and oven. This studio has air conditioning, sofa and oven. This apartment has a microwave, kitchenware and sofa. This apartment features a sofa, microwave and dishwasher. This apartment, set on the first floor in a classic Viennese old building, features a kitchenware, toaster and air conditioning. Wir bieten moderne und komplett eingerichtete, sowie sehr bequeme Ferienwohnungen ab 40m² bis 150m², mit zum Teil separaten Schlafzimmern an. Für Familien mit Kleinkindern gibt es in den meisten Apartments genügend Platz für ein Gitterbett oder Reisebett. In jeder Ferienwohnung ist TV und Internet (WIFI) vorhanden, sowie ein ausziehbares Sofa, welches als Schlafgelegenheit für 2 Erwachsene genutzt werden kann. Alle Küchen sind komplett neu und mit einem Geschirrspüler, einem Herd mit Backofen, Mikrowelle, einem Kühlschrank, und komplett mit Besteck und Geschirr und Kochgeschirr ausgestattet. Alle Apartments sind mit einer Klimaanlage ausgestattet. Die Alga Apartments am Westbahnhof befinden sich direkt neben der berühmten Einkaufsmeile Mariahilfer Straße. Es sind nur wenige Gehminuten bis zum Westbahnhof, und es hat eine sehr gute öffentliche Verkehrsanbindung, was dem Gast ermöglicht, schnell ins Stadtzentrum zu kommen. Außerdem ist es nicht weit entfernt vom Schloß Schönbrunn, wo es auch einen großen Park gibt und einen Tiergarten, beliebt bei Groß und Klein. House Rules Alga Apartments am Westbahnhof takes special requests – add in the next step! Alga Apartments am Westbahnhof accepts these cards and reserves the right to temporarily hold an amount prior to arrival. Please note that there is no daily cleaning. On request and at an additional cost, cleaning during the stay is available. Please inform Alga Apartments am Westbahnhof of your expected arrival time in advance. You can use the Special Requests box when booking, or contact the property directly using the contact details in your confirmation. I could not get in touch with the host after check-in. I emailed two times to clean the room in the middle of stay, but I did not have a reply. Nothing happened even if I asked the cleaning staff to clean the room extra. During six nights, the children made it difficult for many dust. The shower booth was also uncomfortable because of the slow drainage. The location is perfect. 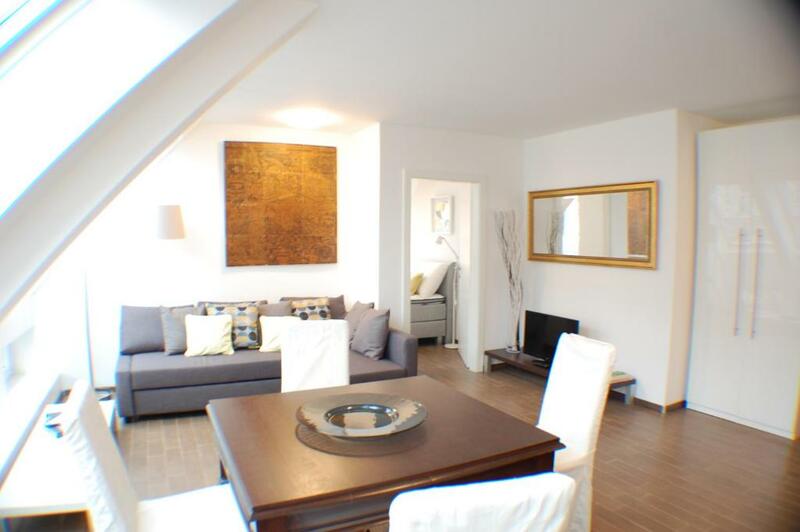 5 minutes walk to tram station and U Bahn, and you’re also 5 minutes away from West Bahnhof. The living room is warm. I got a bad impression from this property from the start when they charged me double what I expected to pay due to a hidden 30Euro cleaning charge that wasn't mentioned in the total amount that would be charged from my card. When I asked them to help they admitted the mistake but wouldn't do anything about it. When I asked to cancel they said I couldn't. So, following the fab reviews I decided that hey, maybe the amount would be worth it and I would just enjoy a luxury night. When I boarded my flight 5 hours before checking in, I still hadn't been sent check-in details for them and had to ask. The email gave me a code to a safe outside with 6 keys on it. Long ago the keys had officially been marked to correspond to instructions on a paper scroll that came with them, but the stickers were no longer there, so I just had to guess how to get to my room, trying each key one by one. The rooms are then numbered differently to what is written on the paper so I had to wonder around the corridor guessing which was mine, scared I would try to enter someone else's room. The room itself is much smaller than it looks in the pictures and waaaaay less luxury - it's definitely past it's time. Rugs have curling corners, paint is shredding off the chairs and the crackling bathroom mirror, corners of the skirting are cracked, an ageing yellowing quilt lies on the day bed, grotty orange muck in the shower door slider, weird wiping stains on the ageing kitchen walls, all of the welcome paper work is on crinkly ripping paper & pigeon feathers falling through the open window en mass. And, the worst of all - the internet DOES NOT work. On top of being massively overpriced, I had to spend more money to use my own phone data to do some work and watch a program on Netflix because the TV has no English channels. Internet is a basic necessity in this day and age, especially for somewhere charging Euro100 a night! We had been locked in the lift for 20minutes at midnight until the land lord come to unlock lift door! A little bit scary! the mirror placed too high for short people. They forgot to keep the keys in the lockers and too many keys to access the apartment. The apartment is perfect for 3-4 travelers. Very well lighted and good equipment, You can cook your own food if you don't want to eat outside, they have basic cooking ingredients. But we had issue with the check in - they did not keep the keys in the locker and we had to call them (international call ) then they sent someone with the keys. the keys are complicated - 4 keys - doors, lift, apartment and one for the staircase. So you are scared to loose them or its so heavy to carry around. old fashion quite dirty in the room and in the bathroom, The bad linen are old and worn out but clean. No door on second bedroom that opened off living rooms. Broken door on patio. No hand soap in dispensers. The perfect property with great location,all you need around there shops,restourant,cofees,supermarkets and all kind of public transportis very near from you. WI-fi in the bedrooms almost didn't work, that was only one problem. It only worked properly in the kitchen and partly in the living room. That's all. Everything was exact and we enjoyed as home. Not that nice the building entrance. 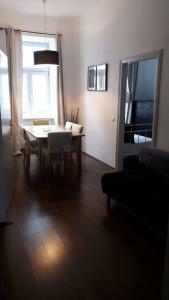 Super clean and nice place close to the city center.